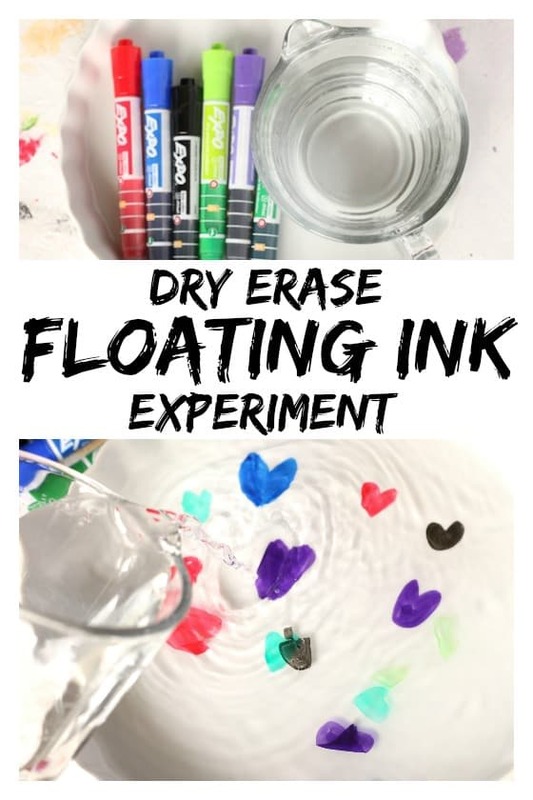 If you’re looking for cool things to do with dry erase markers, you have to check out this floating ink experiment! 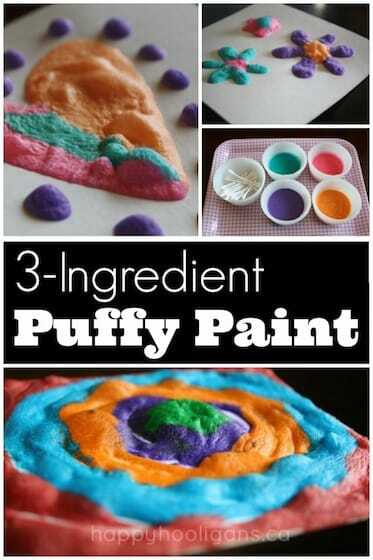 It’s a fun and easy science activity to do with kids and a great party trick that will “wow” the grown-ups too. 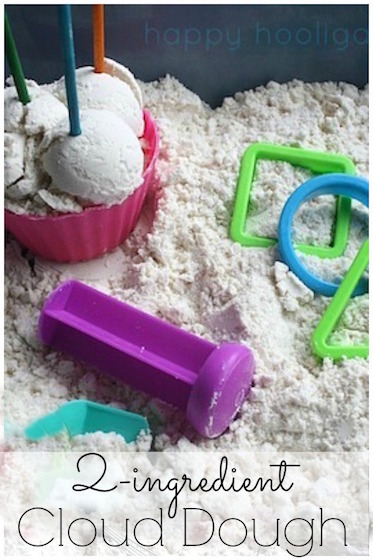 I have another very cool dry erase activity for your kids to try. 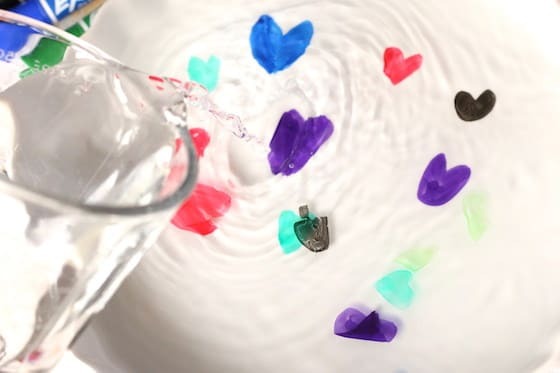 It’s a dry erase and water trick that’s going to blow your kids’ minds! We’ve used the Dry Erase Markers with Ink Indicators that the good folks at EXPO sent us, and we’ve made drawings that float on water! I didn’t even know that dry erase ink could float until I saw the dry erase stick-man trick (more on that in a bit) making its way around the web a few months back. That trick looked so awesome that we were inspired to try it ourselves but instead of making floating stick-men, we made floating hearts. The kids were fascinated! They did the experiment over and over again, testing different colours of ink and different writing surfaces. 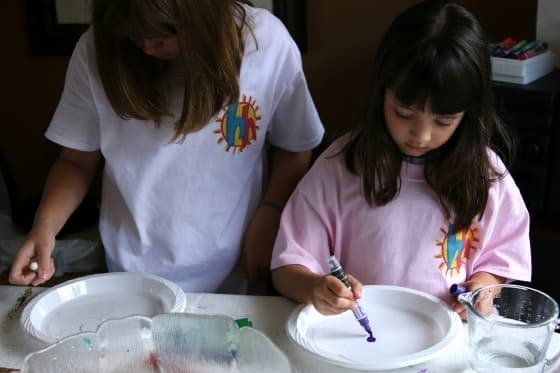 This is definitely a science activity that kids AND adults will love. 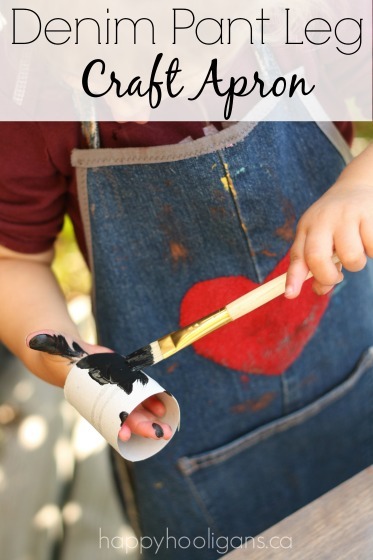 You may also love these 5 dry erase activities that don’t require a white board. We’re giving away a set EXPO Dry Erase Markers with Ink Indicators so be sure to enter at the bottom of the post! Test your markers to make sure the ink flows well. Draw various shapes, stick figures or letters on your plate or baking dish. Pour water into the dish, close to the edges of your drawings. Within seconds, you’ll see the dry erase ink reacting with the water, and the edges of your drawings will begin to lift. 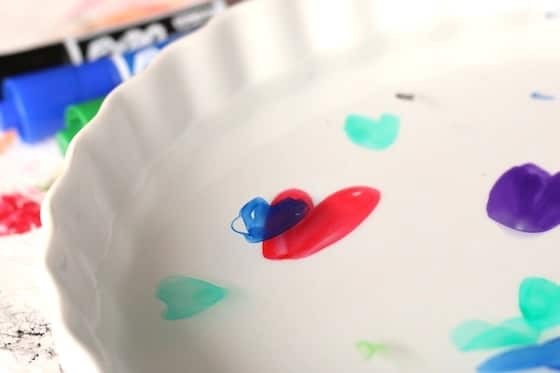 As you add more water, the ink will lift away from the bottom of the dish and float to the surface of the water. Some of your drawings may only lift a little, and some might not at all. Our results were different every time. We had a great time doing the experiment over and over again, pouring out the water, drying the dish, and trying new shapes and colours to see what would happen. 1. Is there a colour of ink that works best? Is it the colour of the ink? Does it depend how thick the layer of ink is? See if your kids can nail down what works best for them. We found that a thicker layer of ink worked best, and the colours we used had varying results. We had the least success with the black ink. Sometimes the red ink floated quickly, and other times, like in the video above, the red wouldn’t come away from the plate at all. Was this due to how hard we pressed? How much ink we used? Which colours work best for you? 2. Which drawing surface works best? The disposable plastic plates didn’t work as well as our dinner plate, and the quiche dish worked best of all. For some reason, our drawings seemed to stick to the dinner plate more than the quiche dish. The quiche dish was ideal too because of the rim. We could pour quite a bit of water into it and not have to worry about spills. 3. Do solid shapes float better than stick figures or letters? Experiment with different types of drawings – letters, pictures, outlines, solid shapes etc. to see which ones float best. 4. Can you pick up your floating shapes! What’s really cool is that we were able to pick up our floating shapes with our fingers. When we did, they completely deflated and looked like a little strand of rubber, but when we gently placed them back on the surface of the water and jiggled them a little, they expanded back into their original shape and floated again. 5. Does the temperature of the water make a difference? Try your experiment with hot, cold and room temperature water and observe your results. And have fun trying the experiment over and over again! Why DOES dry erases ink float? 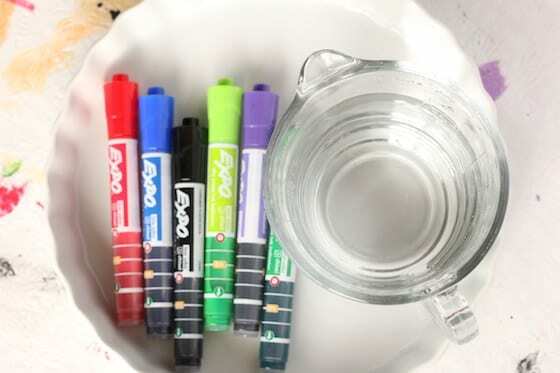 If you’d like to know the science behind the dry erase and water experiment, this dry erase stick-man article explains how dry erase ink floats. 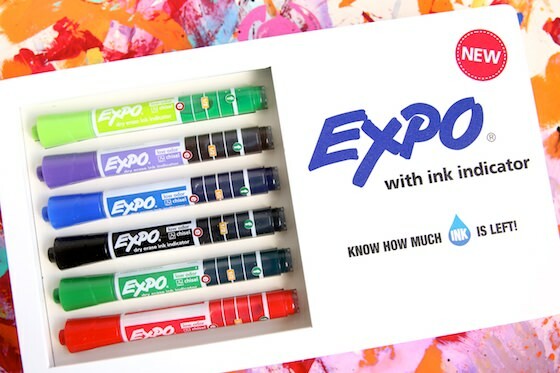 And now, Expo and I want you to try this experiment with your kids and students, so we’re giving away a set of Expo Dry Erase Markers with Ink Indicator! To enter, click on the Rafflecopter ballot box below. You can enter the contest daily between now and June 25, so come on back and enter again tomorrow! This contest is open to residents of Canada and the U.S. Giveaway Rules: This giveaway ends September 25, at 12:00 a.m. EST. The winner will be selected at random and notified by email, and will have 24 hours to claim their prize. The winner will be required to provide legal name, postal address and phone number. This information is gathered solely for the purpose of fulfilling the contest shipping the prize. The prize will be sent within 2-3 weeks. Winner will be announced on social media once the prize is claimed. GOOD LUCK! Learn more about EXPO Dry Erase Markers with Ink Indicator here. This post was sponsored by EXPO Markers. The ideas and opinions are my own. I use them to write reminders on the bathroom mirror. We also use them on the patio door to play around. One person will draw something and a few hours or days later someone else will add to it until we have a whole scene, then we start again. Very cool! Certainly something to do at home now that the rainy season is here! 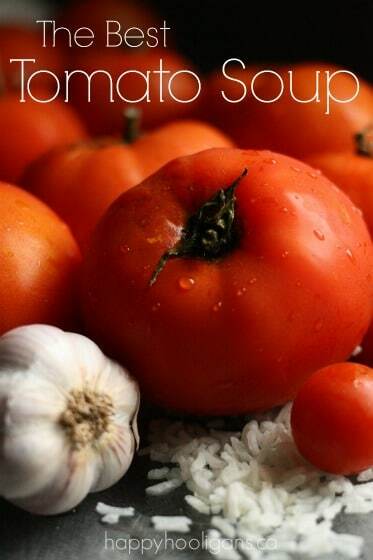 Looks like a great experiment! We have a busy household. My daughter and I use dry erase markers to leave messages on her mirror. This helps us remember what’s happening and when. try lifting out with very porous paper or such … that might wor. So cool!! My kindergartener loves expo markers, this will be a fun experiment for her, thanks! I have one of thoe giant whiteboards on my fridge; this would be great! I use it in our classroom to demostrate class activity on the white board. I have used dry erase markers on different surfaces over the years. My favorite surface is a small porcelain sign(5X7) that I write on and then put on a stand. I sometimes write the menu or a greetings of a holiday! Such fun!!! I Love using it in the playroom/den on the dry erase board. making all kinds of art. i like these! We like to use dry erase markers on the fridge. Just the traditional way here- we use it on the whiteboard to draw pictures, fill out the monthly calendar and sometimes list chores. Dry erase markers have so many uses, but I can’t wait to try these experiments. 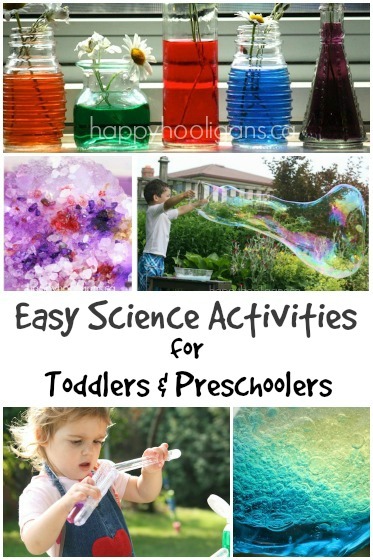 I can’t wait to try these experiments with my 3-year-old grandson! I use them in a walk in my kitchen to show which chore each of my children need to complete before I get home from work. It works out great! I love using dry erase markers to keep our family calendar in order. It’s colour coordinated and the dry erase makes it so easy to make changes. I think that’s a wonderful idea! I’m hopeful that EXPO will make a corporate contribution to relief efforts. What a cool project! Definitely need to try this. We use dry erase markers to help with our music lessons and also to practice our multiplication tables. We sometimes use them to leave messages for each other as a way of encouraging each other to always try our best. Sometimes I write chores on the white board so that once the boys get home from school, they know what is expected of them that day. Much easier than walking around behind them and constantly reminding them :-). I love this! I can’t wait to try it with my daughter. Regularly we keep a dry erase calendar in our kitchen which I religiously update to keep us on track. My daughter also has her own collection of fun colored dry erase markers and a board in the garage which she draws on while spending time with daddy in the garage…and there’s always hangman too! We love using expos to decorate our windows and tables. It comes right off with water! Can’t wait to try this. Thank you. So fun! We played Hangman on our glass sliding door! I am a pediatric occupational therapist so I use a lot of dry erase markers to work on handwriting, pencil grasp, hand and finger strength, etc. I use dry erase alphabet and number books, or I put worksheets into a plastic sleeve. We work on hand, finger and arm strength when bunching up a paper towel and pressing hard to erase. I am boring…I just use them on dry erase boards and laminated pages. Hey, nothing boring about that! These colors so so cute and bright, we use for art and craft. hehe. We do homework every night with a dry erase board. It helps my daughter to be able to erase if she had the wrong thing and we can write it a bit bigger than on a sheet of paper and use fun colors to make the homework experience a bit more enjoyable….Love our Expo Markers!!!! That’s a great idea, Kimberly! I use dry erase markers during OT with my students. They love writing letters and erasing them as they trace with their fingers. Or, we play games – hangman, tic-tac-toe, etc. Doesn’t waste paper and the kid shave fun! This will be great in my science class! I like to use dry erase markers during presentations in class. 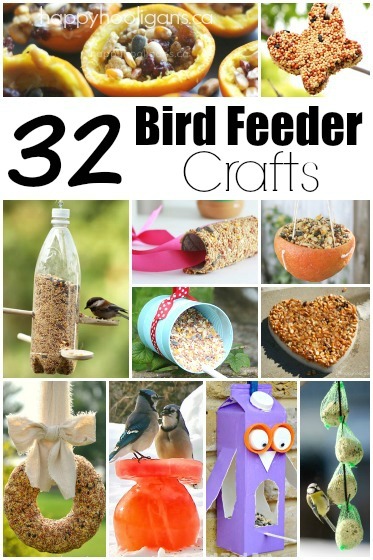 Wow, this is a seriously cool activity that I know my kids would get a kick out of. I can’t wait to do this with them. Thanks so much for sharing! This looks great. Will be fun to try. Thanks.